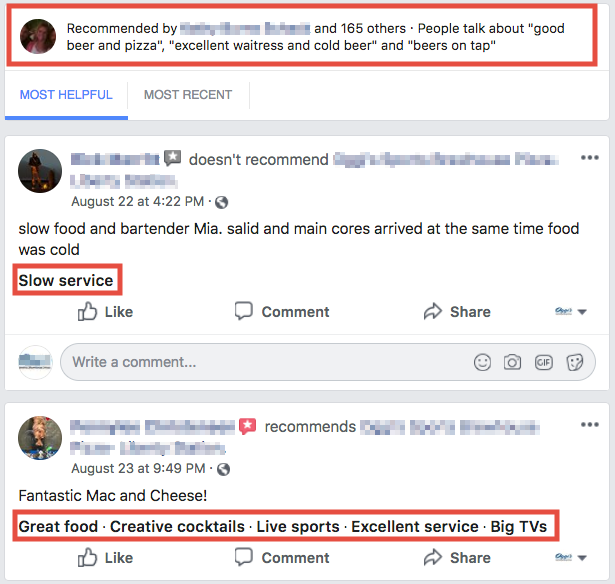 Among many of the recent changes to Facebook has been their decision to get rid of reviews and replace them with recommendations. 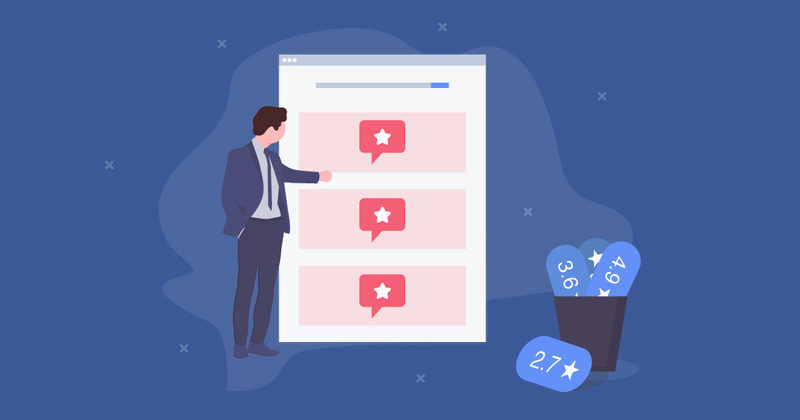 Facebook recommendations replace the numbered star-rating system and bring with them much more valuable features. For many business owners and marketers, this feels like a nightmare. Once one of the fastest growing marketing platforms, Facebook suddenly wants to become more community oriented. This should really be no surprise. In recent years, Facebook has been a constant feed of publishers and businesses pushing their content. For the general everyday Facebook user, this became overwhelming and off-putting. 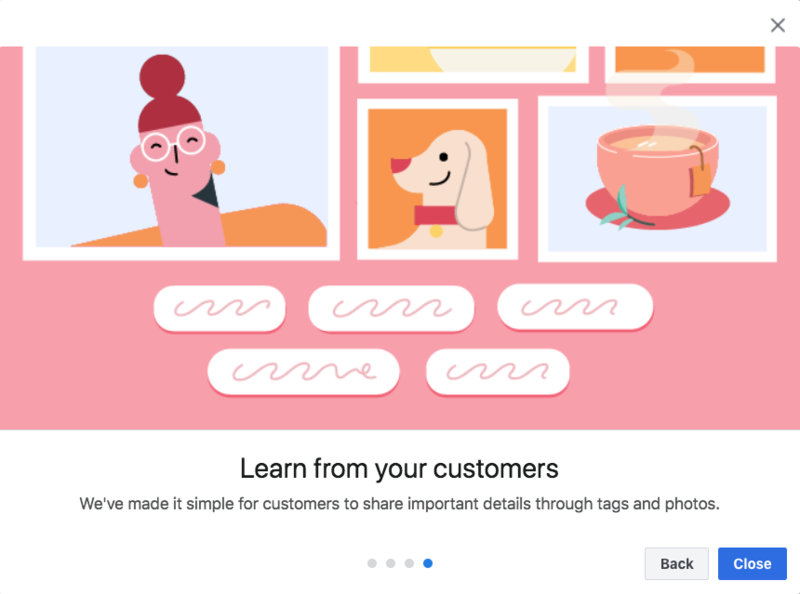 So you may have noticed your feed recently revert back to more organic content from your friends than the things they share from other pages. The key for businesses is that Facebook is becoming a much more organic platform. It’s getting back to its roots, which means marketers need to do the same. 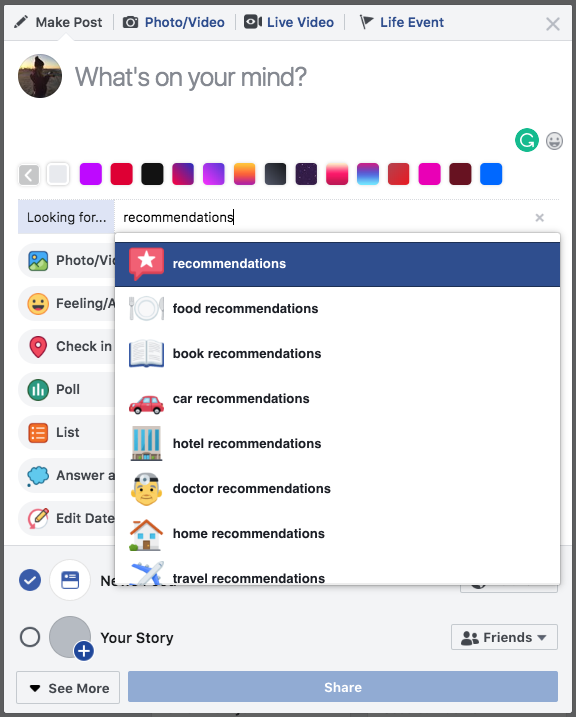 Facebook has slowly been rolling out recommendations for business pages to users in waves. You may have seen a notification on your Business Page recently that looks like this. Not all businesses have seen the change entirely take place in their settings or on the tabs on their page yet due to the slow rollout, but eventually all of them will change. Changing to recommendations helps friends share their experience with others more organically. It’s less oriented toward businesses, who are obsessed with data, and more oriented toward people, who just want to know what’s good and what’s not. The best part about Facebook recommendations is that they can easily be left on any page across Facebook. Your customers can still visit the generic “Reviews” or “Recommendations” section of your page to leave a recommendation. It’s in the same spot customers previously left reviews. The biggest difference is that now people can ask their friends for recommendations at anytime, anywhere. A Facebook recommendation is true, digital word of mouth marketing. When their friends reply and type in your business name quickly, without tagging you, Facebook will still find the right business and leave a recommendation for your page. There’s even a whole section dedicated to friends asking for recommendations. This section will grow similarly to the way the Facebook marketplace grew. As more users become aware of this feature, it will grow in popularity. Before anyone can recommend your business, you need to turn on recommendations. This is done in the same way that you would turn on reviews. Your settings even might still say “Reviews,” like ours does. 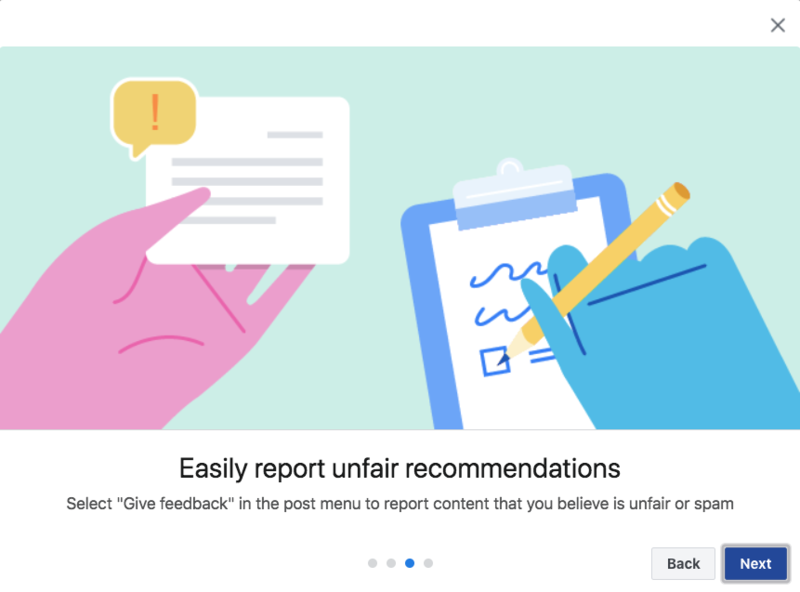 Even if your page still says “Reviews” instead of “Recommendations,” your audience will be prompted to leave a recommendation rather than a review if Facebook has allowed that user to do so. Remember, eventually all users will have this ability. To enable your Facebook Recommendations, go to Settings > Templates and Tabs > Reviews / Recommendations > Toggle on. 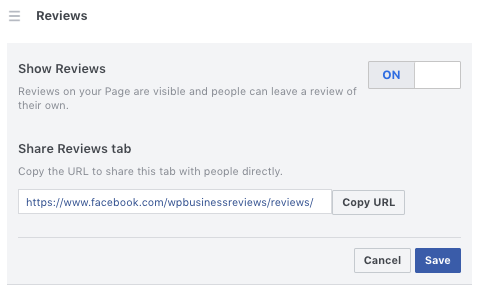 While you’re there, copy the link to the reviews or recommendations tab to ask customers for Facebook reviews and recommendations. Paste it into a doc and keep it handy for your email and social media copy. Facebook recommendations also allow for smart tags. That means when people leave a recommendation, they’re prompted to give more information with one tap or click. This information can help you gain additional insight into your business. To see what tags people are using, go to the recommendations or reviews tab on your page. At the top, you will see a summary of the top phrases people use. Within each review, you can see the tags people selected with the bold text. 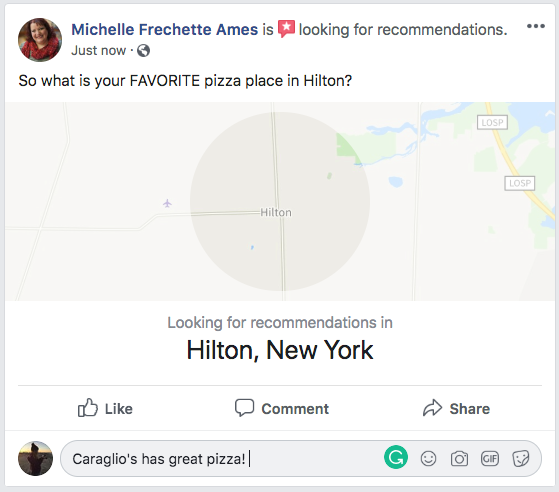 Your smart tags won’t be turned on until you get enough recommendations, so make sure you share your recommendation link as much as possible. Once you get enough recommendations, customers will see bubbles to choose with a single tap or click. For those users who would normally not give much feedback, this is extremely useful. It prompts them to tell you more. Even if someone decides to click “no” and leave you a negative recommendation, you can still learn a lot. Smart tags allow you to use the negative recommendations to make plans for improving your business. In addition to making recommendations more customer-friendly, Facebook also took care of businesses in this update. 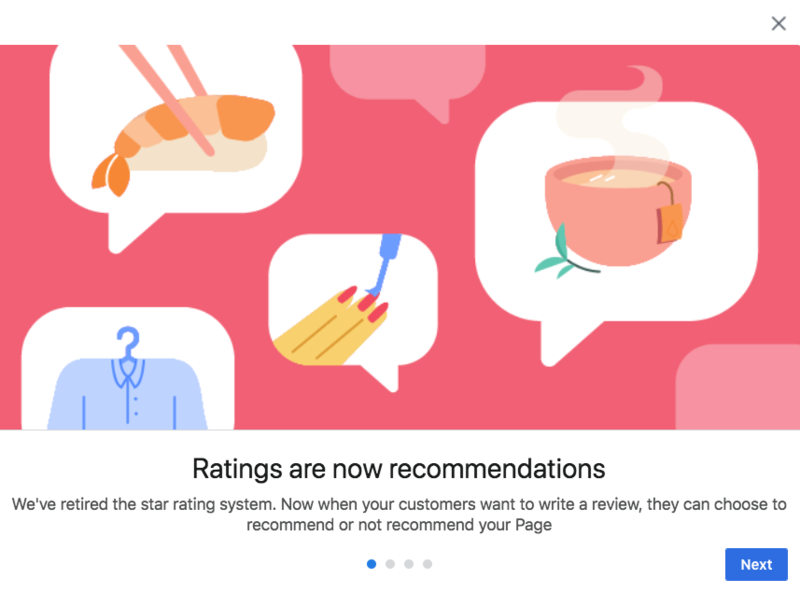 Now you can report both unfair reviews and recommendations with a few clicks. To report a recommendation, click the three dots in the corner. This opens a menu. Then select “Give feedback on this recommendation.” A similar prompt appears for reviews. The screen will then ask you what’s wrong with the recommendation or review and help you begin the process of having it removed. 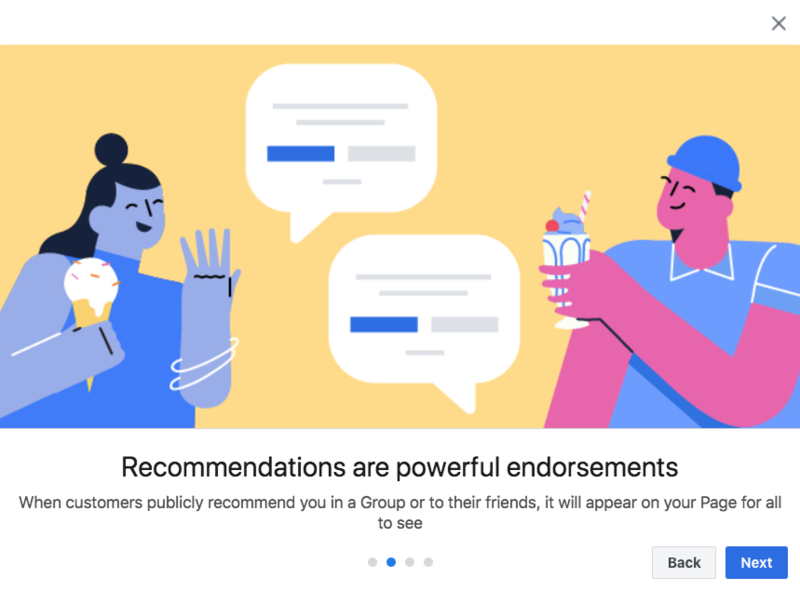 If you need help removing a Facebook recommendation or review, we have a guide for you here. 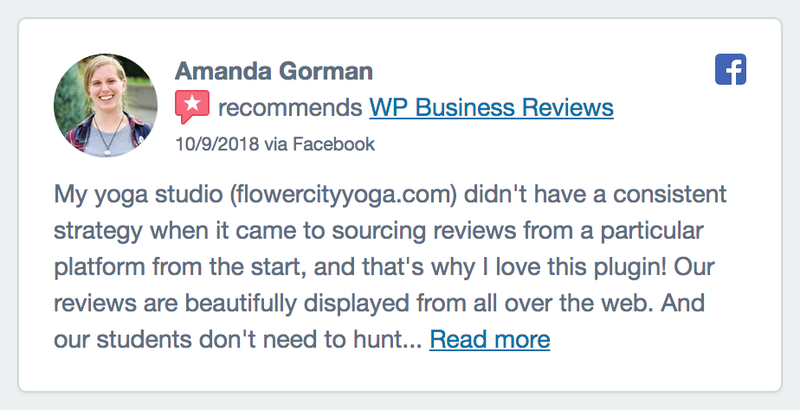 We released WP Business Reviews just weeks before the announcement about Facebook Recommendations. When the news broke, plans to support Facebook Recommendations through our plugin were quickly added to the agenda. Soon, we’re releasing WP Business Reviews 1.2 so you can display Facebook Recommendations on your WordPress website. 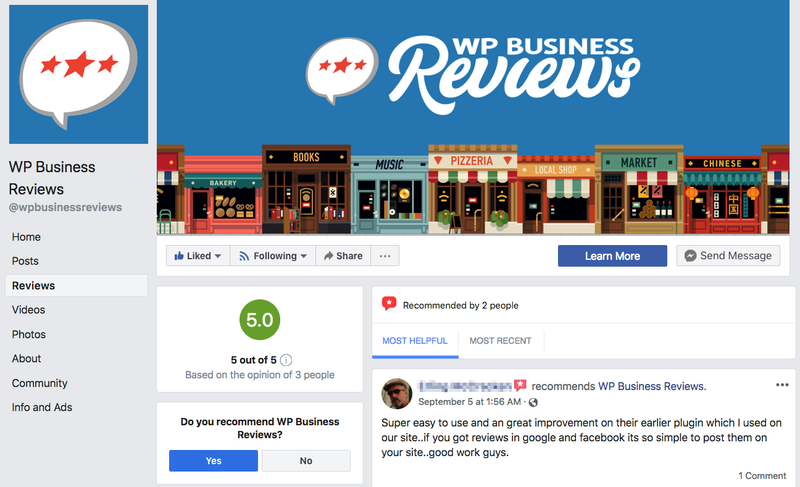 With WP Business Reviews, your on-site Facebook recommendations will reflect the same format that Facebook has implemented and still look beautiful on your site. 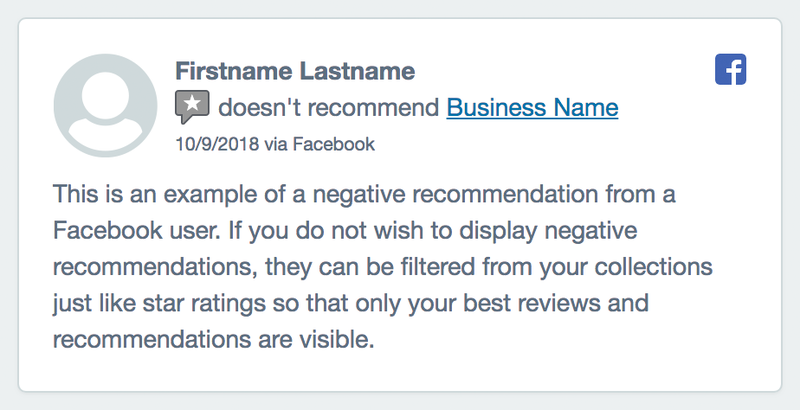 When you want to filter out those negative recommendations, simply set the filter settings with a minimum star rating of four. Facebook is one of many ever-evolving reviews platforms and we’re constantly adding new features to our plugin to accommodate them. Sign up for our newsletter to find out what new features are available when WP Business Reviews is updated. I think recommendations are great. Our consumer can just write pros or cons and you know what is good or not. Great idea. They really are! Recommendations are true word of mouth referrals, but online instead of in person.